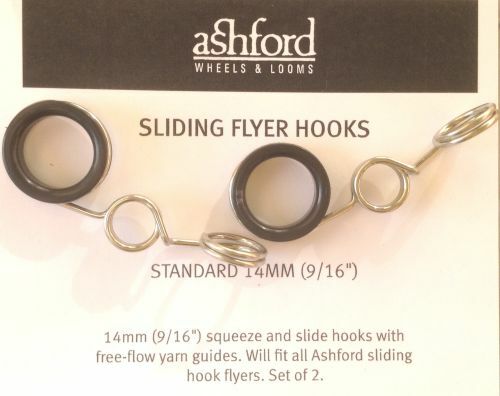 These are the latest replacement hooks for Ashford sliding hook flyers. Not for Kiwi Superflyer or the Joy Freedom Flyer, they use the 25mm size. They will fit, but you lose the advantage of the 25mm orifice size!